Fairline are famous for their luxury motor yachts, and we were delighted to be asked by them to design and develop their official iPad app. The app showcases their beautiful boats. It allows you to explore the full range of their Targa and Squadron boats, view 360 tours, large image catalogs, deck plans and the latest Fairline news. The iPad app is now the best way to browse through Fairline’s impressive range of boats. 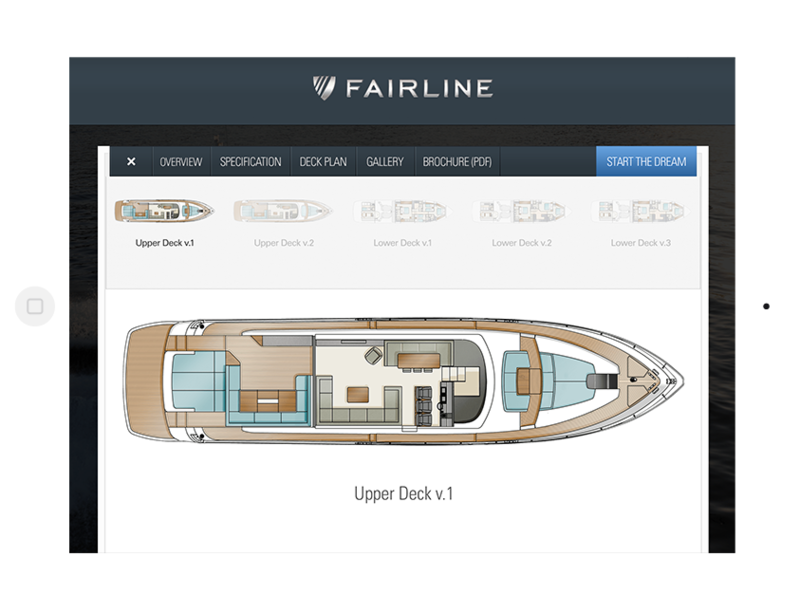 We worked with Fairline and Cream of the South to design an intuitive interface providing a large amount of information on each boat that Fairline offers. The app has easy-to-navigate menus and a clean home screen to lead you to where you want to go in the app. The interface looks incredible on the iPad’s retina display.